Can Ketch save his home and his favorite boatyard from a predatory and possibly murderous developer? This award finalist has everything that a fun, summer weather novel should have - adventure, romance, intrigue... and a 5-STAR RED CITY REVIEW! She’ll have to solve this crime one spell at a time. Mistaken by chance for a missing princess, Tricia is caught up in a tangle of excitement and danger while hiding her hopeless love for Cordillera’s crown prince. 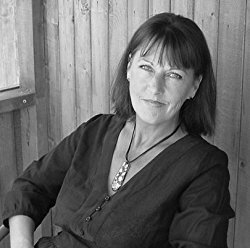 Will the public believe her as the princess as she helps him hunt his missing cousin on the Isle of Capri? The beloved series, Pam of Babylon, now in a boxed set. The first volume contains Pam of Babylon, Don't You Forget About Me, Dream Lover, Prayers for the Dying, Family Dynamics, and the bonus, First Sight. Winner of six literary awards, including Gold Medal, Science Fiction, Readers Favorites 2013. Book one of the laugh-out-loud mystery series from Wall Street Journal and USA TODAY Best-Selling author Amy Vansant. If Janet Evanovich's Stephanie Plum and the Golden Girls had a baby, it would be the Pineapple Port series! The infamous Puzzle Killer returns to Charity, Florida, in search of a rival murderer, and when two serial killers battle, Charlotte, Declan, Seamus and a naked cat find themselves on the chopping block! An Epic Science Fiction/Fantasy Adventure With A Supernatural Edge. In the theater, everyone plays a role, everyone has a secret. When you’re an international spy, who said dying was easy? 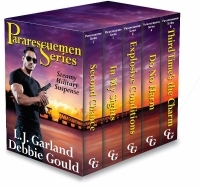 This series of steamy, suspense romances follows each member of a pararescue team as they find true love while bringing a terrorist to justice. 1. Second Chance 2. In My Sights 3. Explosive Conditions 4. Do No Harm 5. Third Time's the Charm This series gets hotter and more dangerous with each book.